Its true, tampons aren’t the most masculine item in the world, and often (if you have a spouse, girlfriend, sister, etc) we get dragged to the store to buy these annoying “feminine products.” Well what I’m about to say will probably shock you – these items are actually an incredible asset to your survival tools. What looks like just a bit of cotton, some string and a little plastic could actually save your life.These handy little devices have been used for years by doctors on the battlefield to clear up blood, etc. After all, they’re sterile, well-packaged, only about $7 a box and are actually an FDA Class II Medical Device. 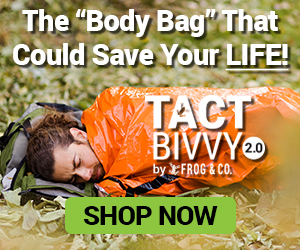 Instead of thinking about tampons as some girly product you’ve never thought twice about, think of these as your Tactical Adventure Medical Preparedness Outdoors Necessity (T.A.M.P.O.N.). #1 – As A Medical Bandage: Unwrap the tampon and take the cotton out of its plastic casing. Unravel the cotton and apply it to any wound for immediate blood/fluid absorption. Apply pressure until bleeding stops (or tape the cotton to the wound for long-lasting pressure). #2 – As Fire Tinder: The cotton in tampons is quite flammable and is excellent tinder for a fire. To make the fire last longer, rub petroleum jelly onto the cotton before lighting. #3 – As A Waterproof Match and Tinder Case: Don’t just hope that your matchsticks and tinder don’t get wet – put them in a tampon case. The packages the tampons come in make excellent and immediate waterproof cases to store matches, tinder, and anything else you don’t want to get ruined. Just be sure to open the case at the top instead of the side to ensure maximum protection. #4 – Stop A Nosebleed: If you’ve got a bad nosebleed, one of the best things to use is the cotton from a tampon. Roll the cotton in a small ball (you may need to break a piece off instead of using the whole thing), and push it up your nostril. The absorbent material will stop the bleeding and exert pressure on the area, making it heal faster. #5 – As Ear Plugs: If you’re in a buggy area and don’t want those critters crawling in your ears, tampon cotton makes an excellent bug deterrent. #6 – As A Straw: Use the plastic applicator portion of the tampon as a straw if you’re in a bind. 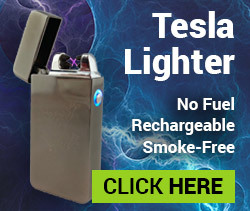 This would be exceptionally useful at potable brooks or streams. #7 – To Dab Away Sweat And Tears: There’s nothing worse than wiping your grimy face with your even grimier hands. That’s why tampons are so darn useful for wiping off that dirt and sweat you’ve accumulated from working all day. #8 – To Patch A Hole In A Tent: There are few things less fun than being bitten by mosquitos all night because your tent has a hole in it. Unravel the cotton part of the tampon and lay it flat against the tent. Then secure it with a piece of tape (or a safety pin, which is another surprisingly useful tool). Sorry, bugs – not getting in the tent tonight. #9 To Apply Ointment: If you need a clean item to put ointment on with (say you have a cut or wound that you don’t want infected) but your hands and body are all dirty, use the tampon cotton. You can bunch it up to the perfect size to apply the ointment, ensuring a clean, sanitary way of protecting your skin against disease. #10 To Stop Bleeding In The Mouth: If you’ve knocked a tooth loose or have an open sore in your mouth, it can hurt like hell. Stop the bleeding with the cotton from a tampon. #11: Use As a weapon: I could explain this myself, but these guys do it so much better. Ideally, you should be using an actually legitimate water filtration system when you’re out in the wilderness – instead of relying on a tampon to do it for you. We here at Survival Frog believe everyone deserves clean, drinkable water no matter what they come up against. That’s why we invented the LifeStraw Personal Water Filter. This incredible portable filter can transform even the dirtiest water into clear, pure drinking water in seconds. 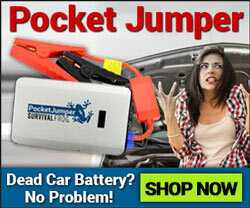 Generally speaking, this is probably one of the single most useful items you could add to a survival kit. Read the reviews and you’ll see that our customers view it the same way. 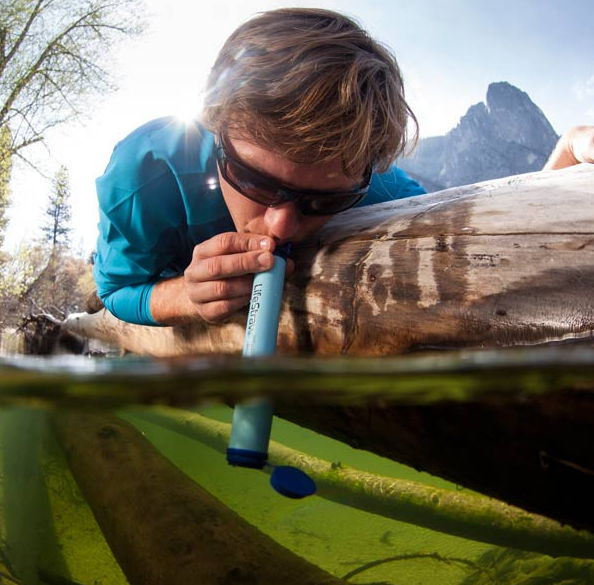 Click here to get your LifeStraw Personal Water Filter. After all, having good clean water is just good sense. This entry was posted in Uncategorized on March 8, 2016 by Survival Frog.